Today I joined the Bedfordshire Badger Network on a field trip to Aspley Woods. Aspley Woods is on the Bedfordshire/ Buckinghamshire border. It’s a fantastic place – acres of woodland and miles of paths and trails. There’s even an Iron Age hillfort, a rare antiquity in this part of the country. 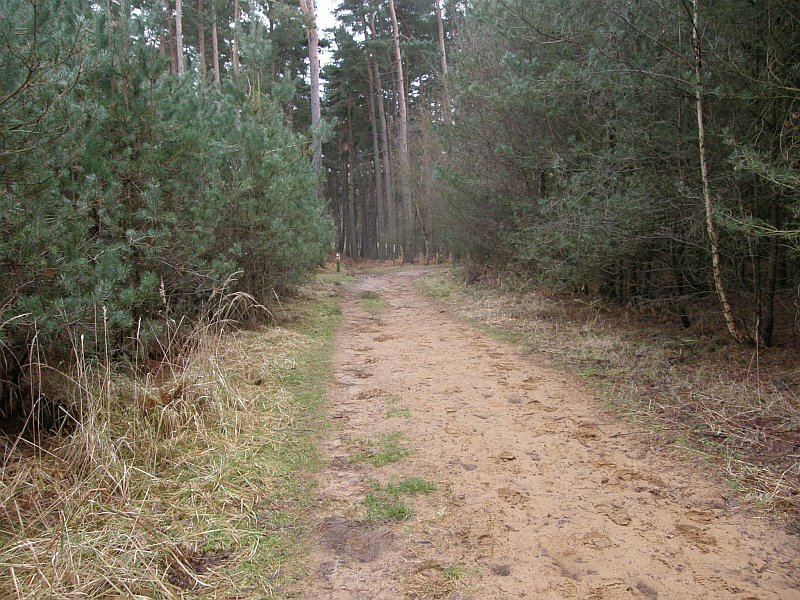 The nearby village of Woburn Sands gives you a clue to the underlying geology: the trails are mostly fine sand and the perfect place to spend a day if you want to improve your tracking skills. It’s like walking through a giant sand pit. We were looking for signs of badgers in the woods. Unfortunately, the group I was with found no trace of them whatsoever. Perhaps the poor, sandy soil isn’t ideal for badgers – perhaps there isn’t enough food. Perhaps the popularity of the woods with walkers, horse riders and mountain bikers has discouraged them. Still, badgers are fairly common in the area so you think there would have been some sign. Perhaps we were just looking in the wrong place. Whatever. It was nice to get out for a walk in the woods with like-minded folk. A very enjoyable morning. I’m sorry that you didn’t find any positive signs. We were a bit more fortunate – did you see the photo of the golf ball which looks like it had been brought back to the sett? Wonderful!